I get this error when trying to access facebook live. Hello @seanmvsmith ! Thank you for your request. 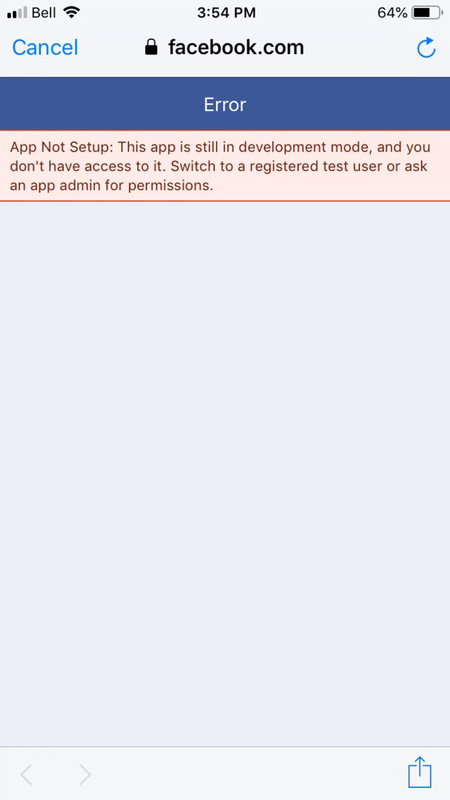 We're still working on getting the apps approved by #Facebook. Unfortunately, this process only affects publishing to Facebook pages. We'll keep working on it but please understand, every review cycle takes one month.